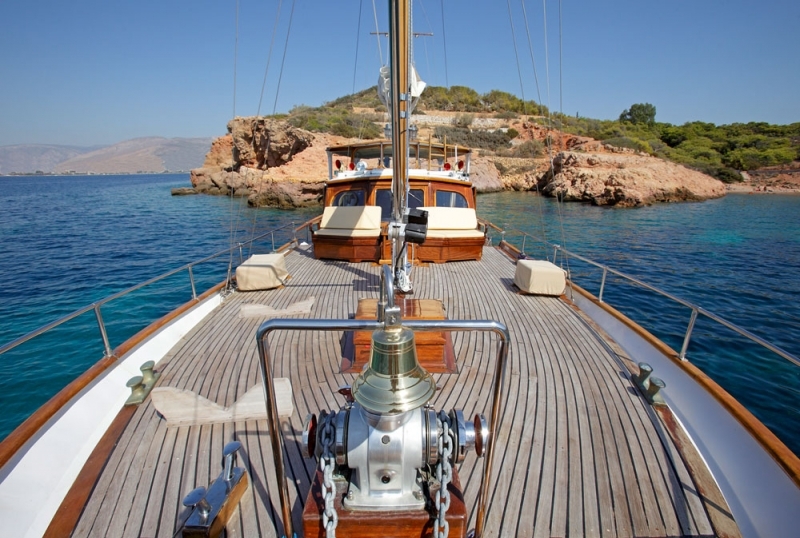 Motor yacht ROTA II is a lovely classic Feadship 65 motor sailer, refitted in 2012 and available for yacht charter in Greece. 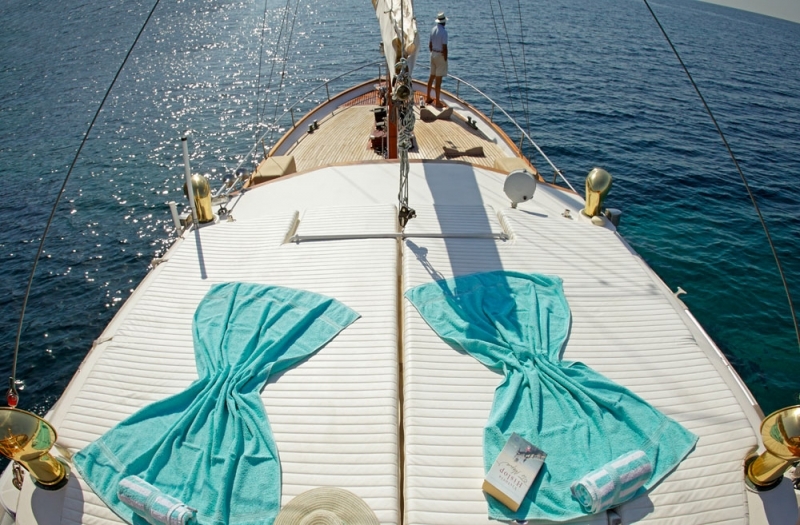 Constructed to the highest standards by Feadship, luxury charter yacht ROTA II measures 20 metres and represents a classic ‘gentleman’s yacht with accommodation available for 8 guests in 4 cabins. 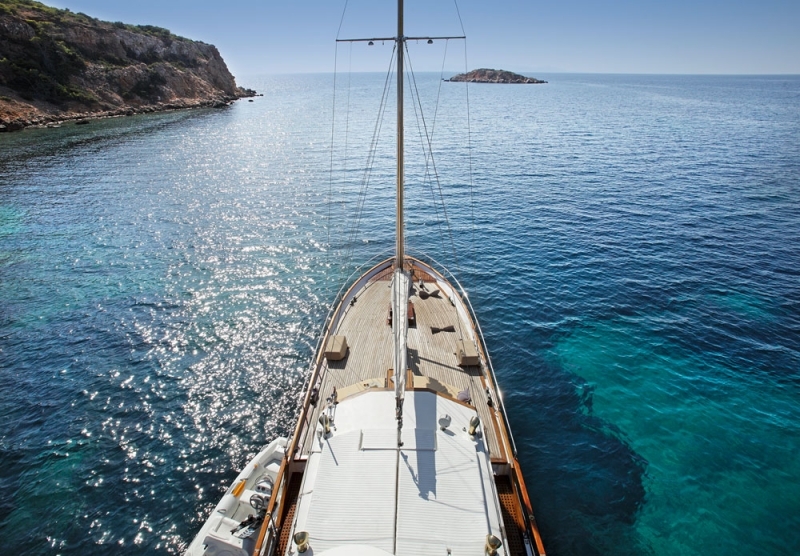 Featuring superior quality and transatlantic specifications, ROTA II yacht boasts of exceptional cruising performance even in rough waters. 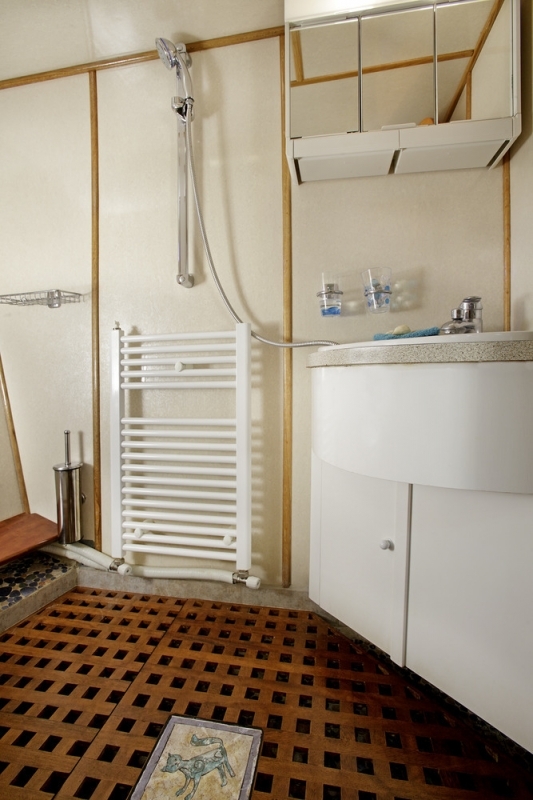 She can be described as elegant and stylish, offering the perfect combination of traditional beauty and modern conveniences. 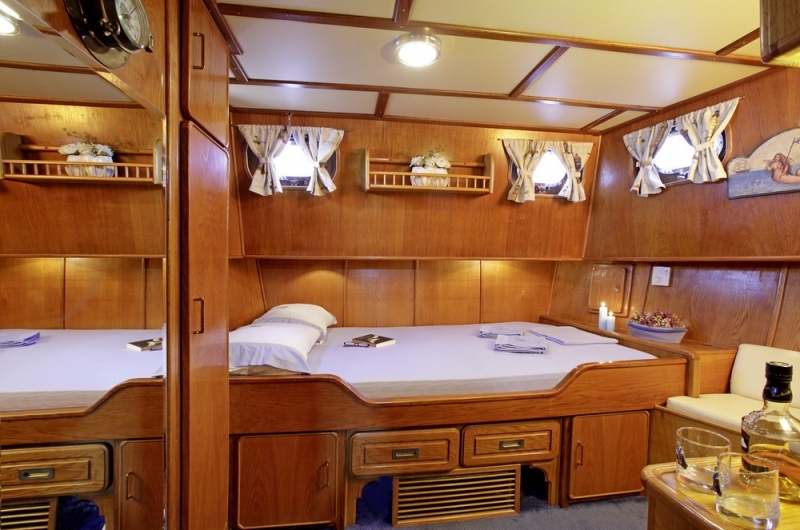 Luxury motor sailer ROTA II provides her charter guest aboard with comfortable exterior and interior spaces, perfect for relaxing and socialising with family, friends or business partners and colleagues. 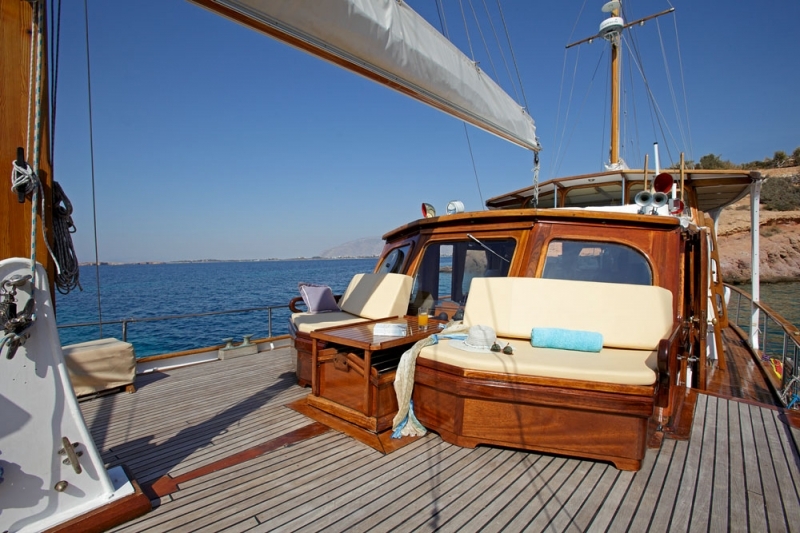 Charter yacht ROTA II boasts of exceptional history cruising the vast seas and has been meticulously maintained over the years. 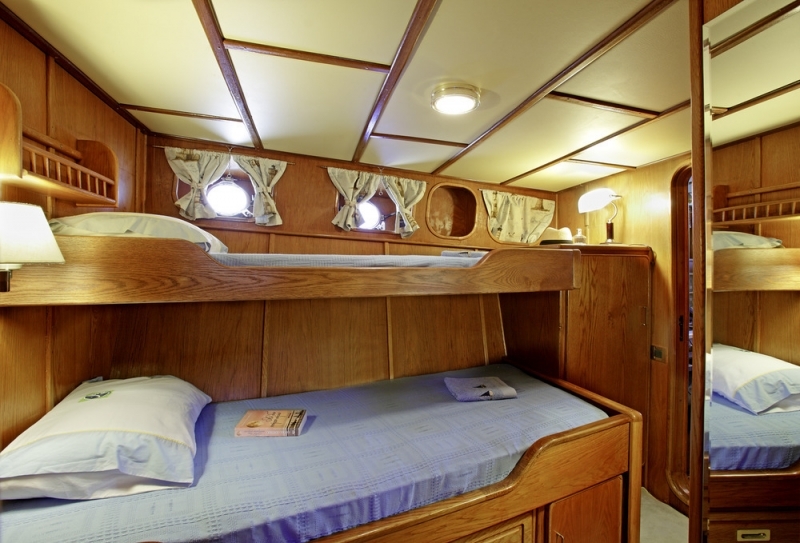 Originally launched in 1996, M/Y ROTA II received various refits and upgrades. 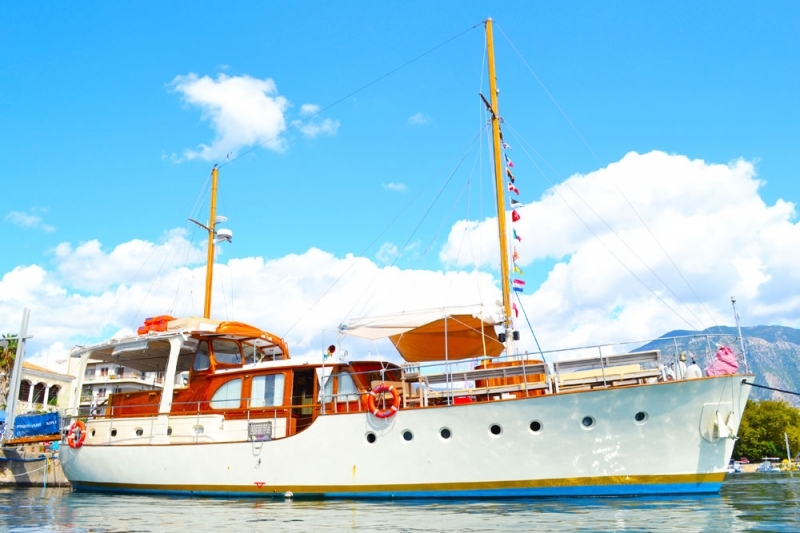 In 2000 she was completely rebuilt, with engineering, electric, electronic, hydraulic and safety equipment works done. 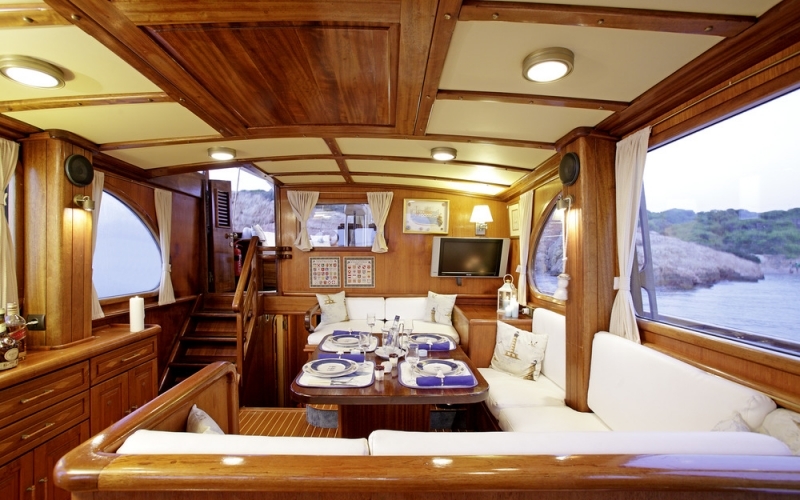 Her 2012 refit was also very important, transforming her into the beauty she is today. 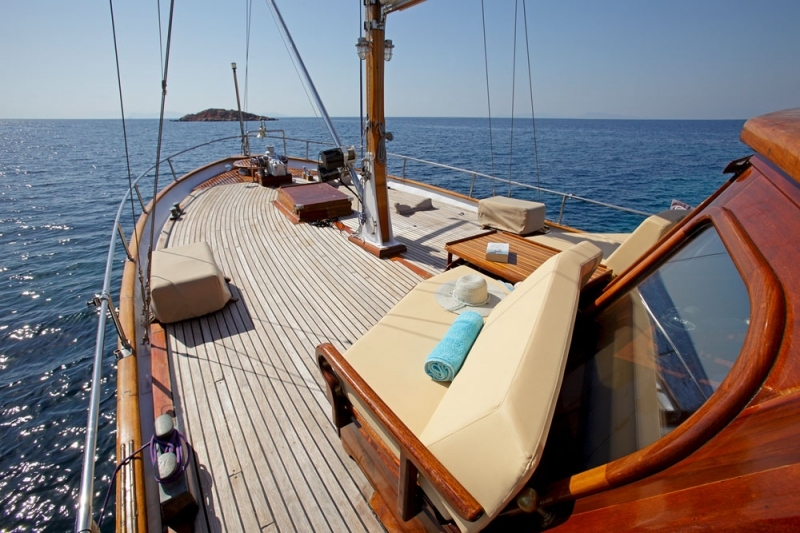 She was constructed with a high-quality steel hull and high-quality teak and iroko woods have been used for the rest of the construction. 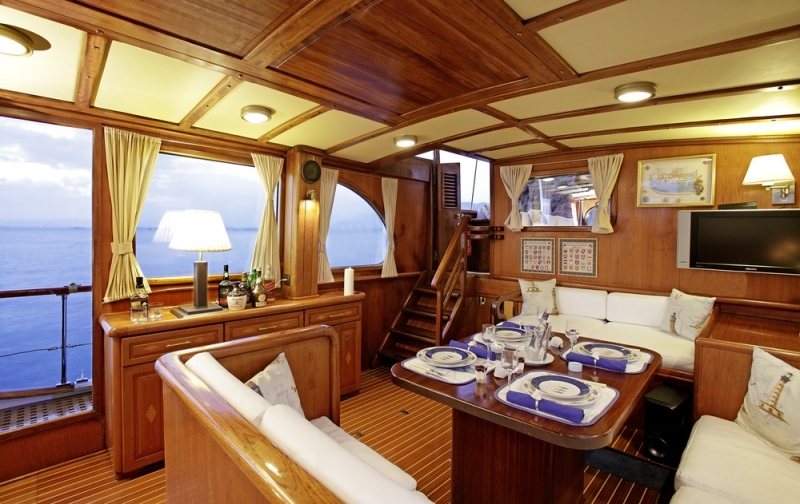 Special features of the ROTA II yacht include the vast decks, both aft and forward, offering comfortable seating areas, lovely couches to relax on and large cushioned sunbathing areas. 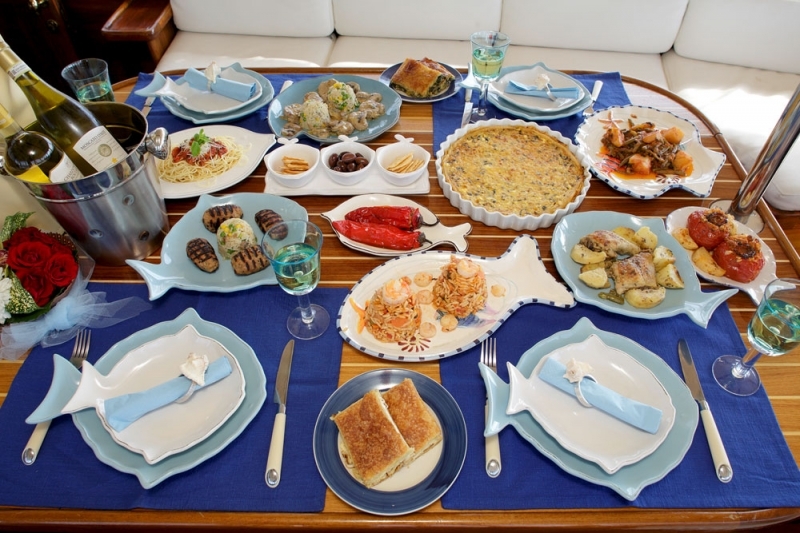 Her spacious galley boasts three refrigerators, one deep freezer/refrigerator, a large electric oven, an electric stove, a microwave oven and other necessities for the preparation of mouthwatering dishes offered by her talented Chef. 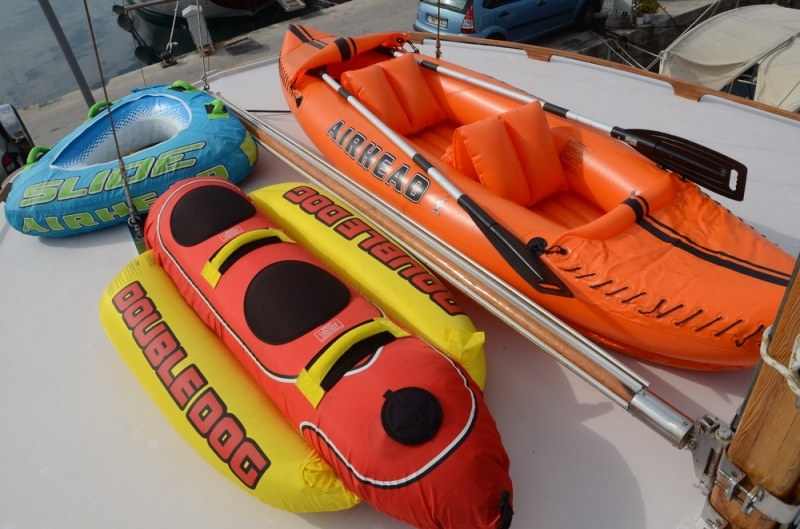 There is a good selection of water toys and equipment on board, including a tube, hot dog and a canoe. 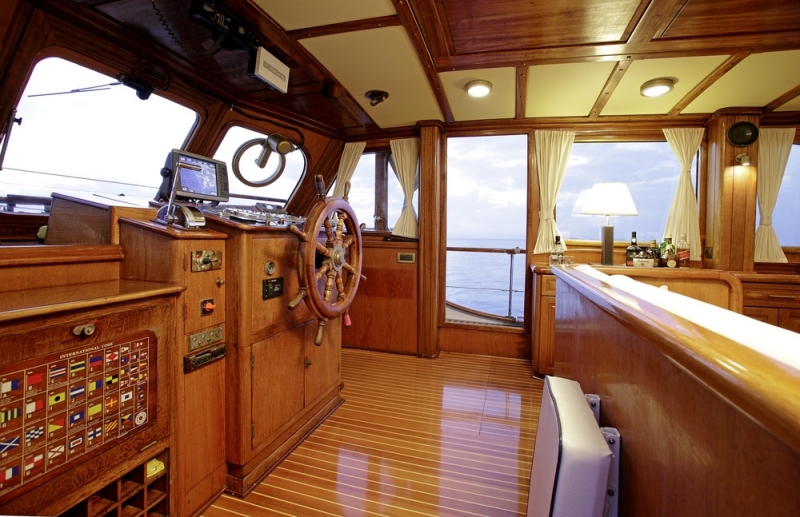 Luxury motor sailer ROTA II has an exceptional cruising performance and water & fuel autonomy. 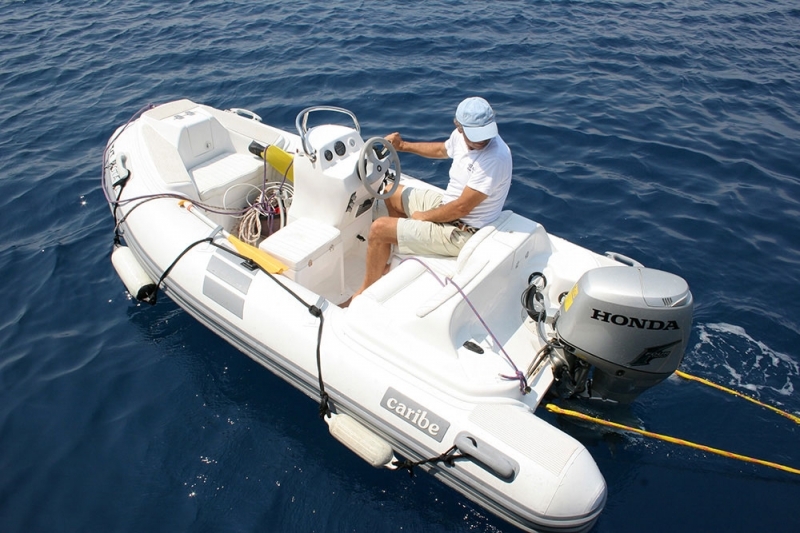 She has fast 3,60m inflatable yacht tender with an 40hp outboard engine. 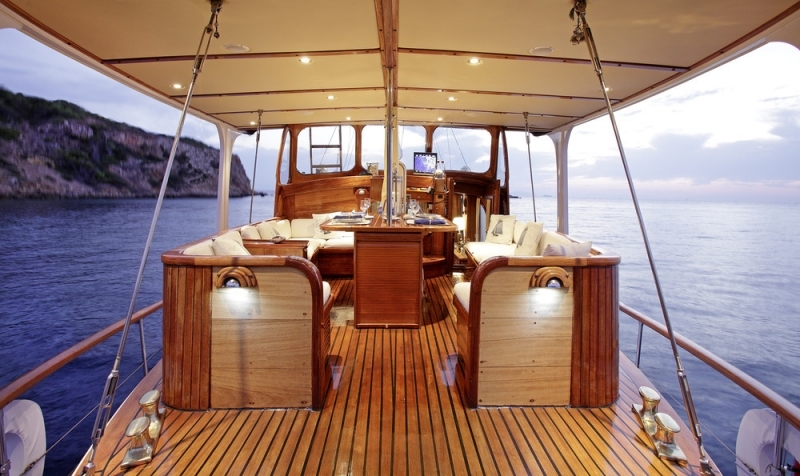 The yacht itself is fitted with two ONAN 12,5 + 11,5 kw engines and is able to reach a maximum speed of 10.5 knots with a cruising speed of 9.5 knots. 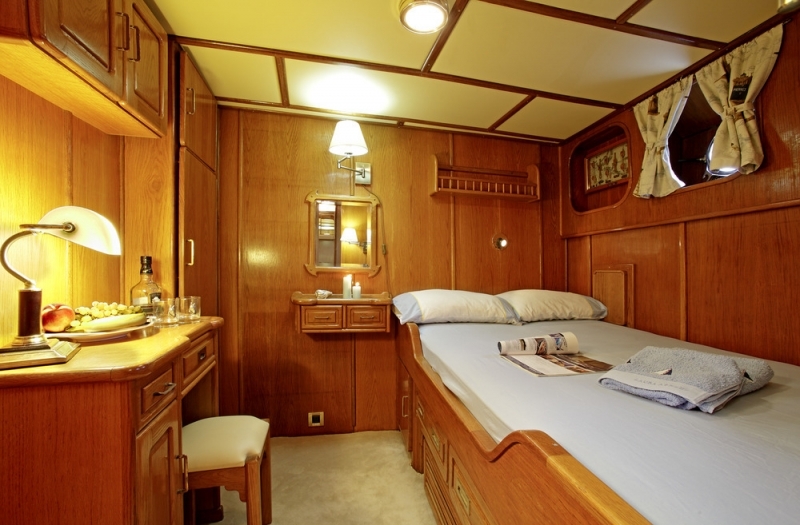 Accommodation aboard ROTA II yacht is offered in four lovely, classically-styled cabins providing overnight stay for eight charter guests. 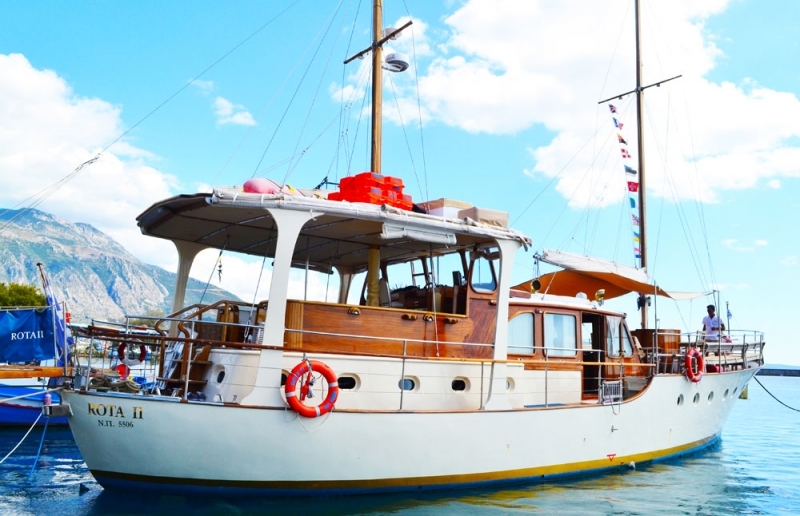 The ROTA II yacht has the following amenities: a large and fast inflatable tender boat of 3,60 meters + 40 hp outboard engine, a tube, a hot dog and a canoe.